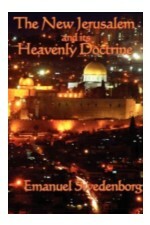 Meeting every other Monday, from February thru at least June, at 8:00 PM a dedicated small group will be discussing Emanuel Swedenborg’s general summary of the essential teachings of the New Church in the book, The New Jerusalem and its Heavenly Doctrine. This lovely digest of critical spiritual issues includes 25 short, concise chapters dealing with everything from goodness and truth to the spiritual sense of the Word, baptism, the resurrection and the true nature of the Lord. We meet in a couple’s home near the church and new members are always welcome. Please call for details. Copies of the book are available from the pastor free of charge. Classes meet Monday evenings every other week with some exceptions so watch the calendar.